This is not a clothing organization post. That would definitely take more than 5 minutes. Miss. 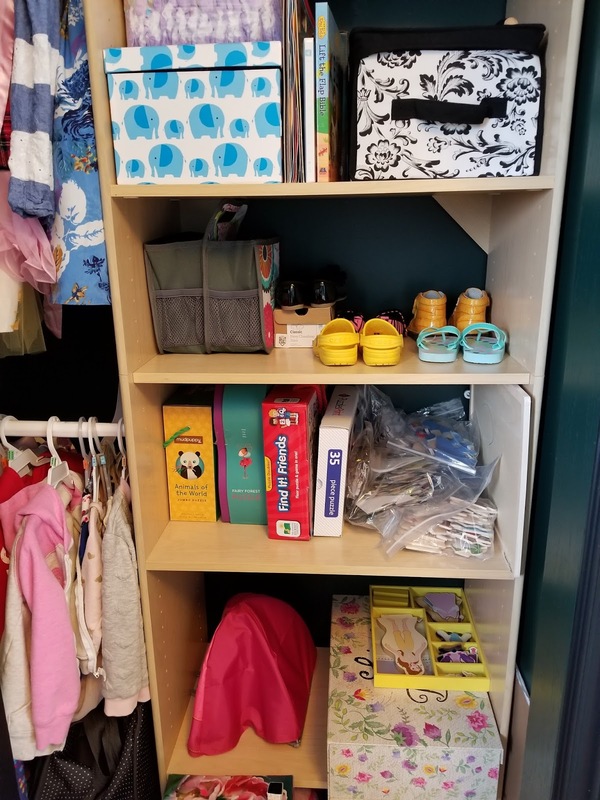 E's closet holds shelves that hold items other than clothing. What you can't see is the shelf above this (which I apparently didn't feel the need to photograph). It holds a few sentimental items that I kept as Miss. E has grown. I pulled out the items from her keepsakes that Miss. Em would be able to use. Everything else basically remained the same on that shelf. 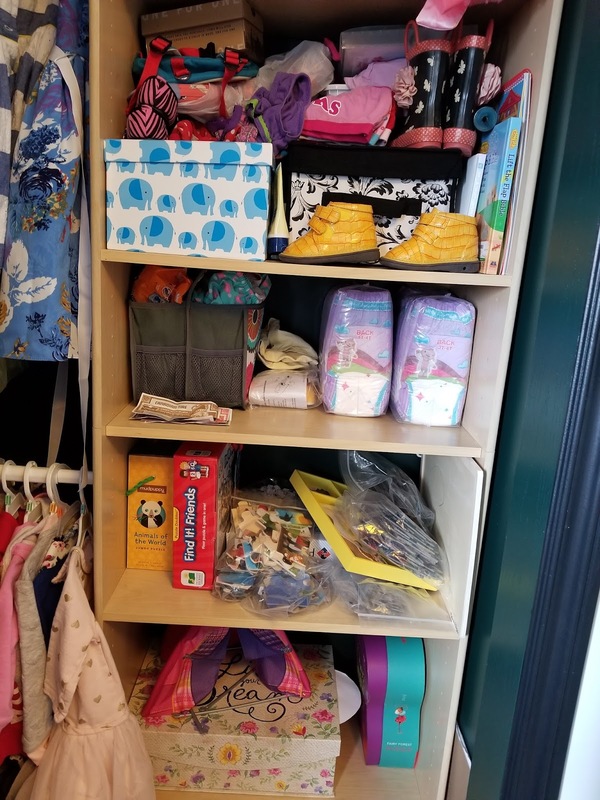 This was a quick organizing job. I pulled out any shoes, bathing suits, etc. that no longer fit Miss. 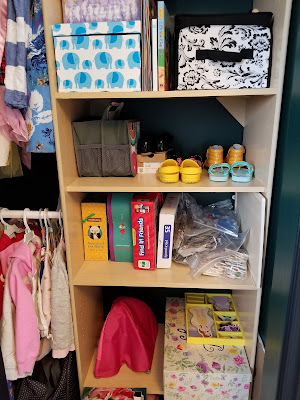 E. I shuffled items around and straightened what was staying in the closet.